Consider dirt like very sharp blades that could cut the fibers of your carpet. As you walk over your carpet, you are also grinding harmful dirt and dust to the fibers making them more prone to breakage. To avoid this from happening, it is of great importance that you vacuum your carpet regularly. This should be done most especially to places that have high foot traffic. Vacuuming twice a week will help keep the dust and dirt to the minimum. For the rest of the carpet, you can vacuum once a week. 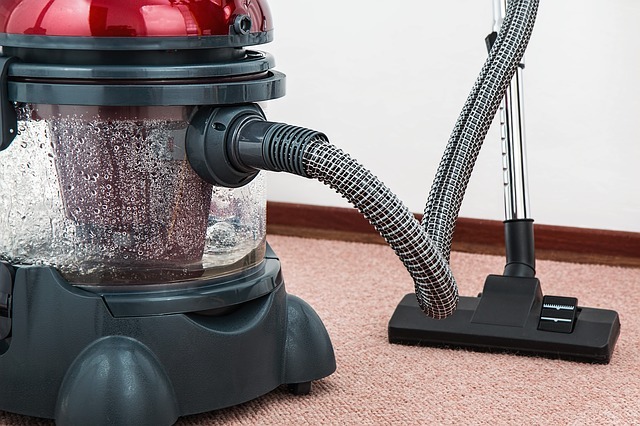 To be able to vacuum correctly, make sure that the filters of your vacuum are replaced often. If the filters are washable, make sure that this is also done on a regular basis. As for vacuum bags, replace them if it is three-quarters full. And if it is you’re a beginner with carpet cleaning, make sure that you are vacuuming at the right speed. Slowly go over each surface as you vacuum making sure that you are clearing as much dirt as possible as you pass. Go over the same area twice to make sure that dirt that has sunk in will be lifted and pulled out of the carpet. And to minimize bringing dirt from the outside, you can make use of walk-off mats. You can place this in your doorway. Make it a habit to clean your shoes before going in your house or work to make sure your carpet is not receiving the dirty end of your shoes. It is always recommended to get in touch with a professional when it comes to cleaning and maintaining valued items such as carpets. You will even hear carpet manufacturers recommend professional steam cleaning for synthetic carpets as this will help clean the carpet thoroughly and keep it in good working condition all year round. Some homeowners or business owners shy away from professional help because of the cost that it may incur. But, you don’t really have to hire the professionals every 2 months. You can have your carpet cleaned by a professional every 12 months up to 18 months. Regular vacuuming should help keep the dust to the minimum. On average, a professional cleaner will charge around $300 to $500 per 1000 square feet. This service includes carpet deep cleaning services. When you are ready to hire the pros, make sure that you don’t take bids over the telephone. Professionals will always give you a quote right after they have inspected and checked the carpet to be cleaned. Expect them to drop by and visit your home for a quote. Remember, the fee that you will pay will always be dependent on the extent of cleaning that needs to be done. Thus, it is important that carpet cleaners visit your property for a proper inspection. In addition, don’t always go for a discounted carpet services. In terms of carpet cleaning, you will always get what you pay for. You don’t want to end up with a carpet that needs more cleaning and maintenance as before. There is only one thing that you can do to make sure that you are hiring the right carpet cleaner, and that is doing your own research. Make sure that you give time to researching and talking to at least five carpet cleaners around your area. This way, you will also have an idea of the industry standard fee. If you also have more options to choose from, you will have the chance to choose the most suitable carpet cleaning company for the task at hand. As mentioned earlier, hiring the professionals can be costly. And it is for this reason that a lot of homeowners take the DIY route to cut cost. If you are planning to do this, make sure that you clean your carpet correctly. Vacuuming your carpet on a regular basis is one trick that you can do to keep your carpet clean every week. This will also make sure that your carpet will not get too dirty before it is cleaned. Letting dust and dirt to settle in will shorten the life of your carpet making it more expensive for you. For high-traffic areas with stains, it is also important that you pre-treat the area with a cleaning solution that is suitable for the fibers of your carpet. You can always mix a detergent with water to clean the area. It is recommended that you use a spray bottle as you do this to make sure the carpet will not get too wet and the stain will not spread out. With a spray bottle, you are also controlling the amount of cleaning solution that is used on your carpet. Remember not to over-wet the spot when cleaning. This will help make the carpet dry faster and thoroughly. If you are using a machine to clean the spot with, make sure that the machine you are using can take away all the water and moist on your carpet. If your carpet can’t dry thoroughly, this will result in different problems like mold infestation. Spot cleaning your carpet means cleaning your carpet the moment spills occur. This will make sure that the spill will not stain your carpet. When spills occur, you have to act quickly. Try cleaning the area with water at first. Most of the stains can be removed by water. Use a clean cloth to clean the spot with water. When done cleaning, make sure that the spot is dry. You can use a fan to hasten the drying process. For other stains, you can blot the area instead of scrubbing. Scrubbing will only make the situation worse. In addition, you will damage the fibers of your carpet if you scrub. Just be patient until all residue is removed from your carpet. Cleaning a carpet does not take a minute to be done. And if you are facing tough stains, you can always mix vinegar with water (equal portions) or use a club soda. Sometimes, these household ingredients will do the trick. And if you are still in a bind, you can always buy carpet cleaning materials in retail stores. But before you dive and clean your carpet with the cleaning solution, make sure that you test it. Spray a small amount on the spot that you want to clean (always follow cleaning instructions). If you don’t see any discoloration, then you can proceed with using the product to clean the spill.